WINTER is coming. Okfineit’salreadyhere. I just try to pretend it’s not. Regardless of whether or not you like winter (I DO NOT), one truth is that pretty much everybody gets sick. I grew up in New England and used to teach young children, so I have gotten a cold/sinus infection roughly 1,983 times or so. I now consider myself a master in the art of healing colds. If you want my “rid-that-cold” strategy, let me know. For real. I have a whole plan. One part of my plan (and well really of everybody’s plan because it’s a well-known fact) is eating buckets of chicken soup. Yes buckets. I used to buy chicken soup at Whole Foods in their lovely prepared food section until I realized I was spending $15 dollars for two small containers that would only last me a day or two. 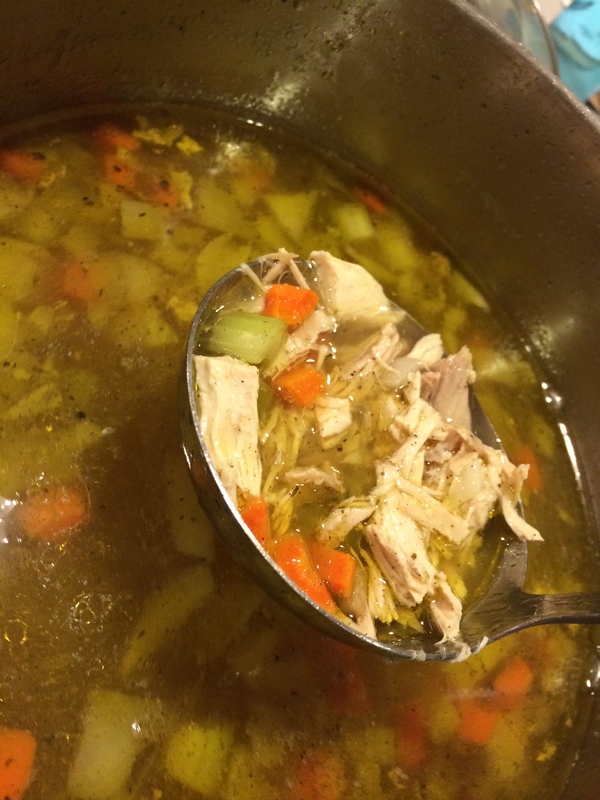 Alas, I saved money and made my own homemade chicken soup and it is the best ever. Yup. 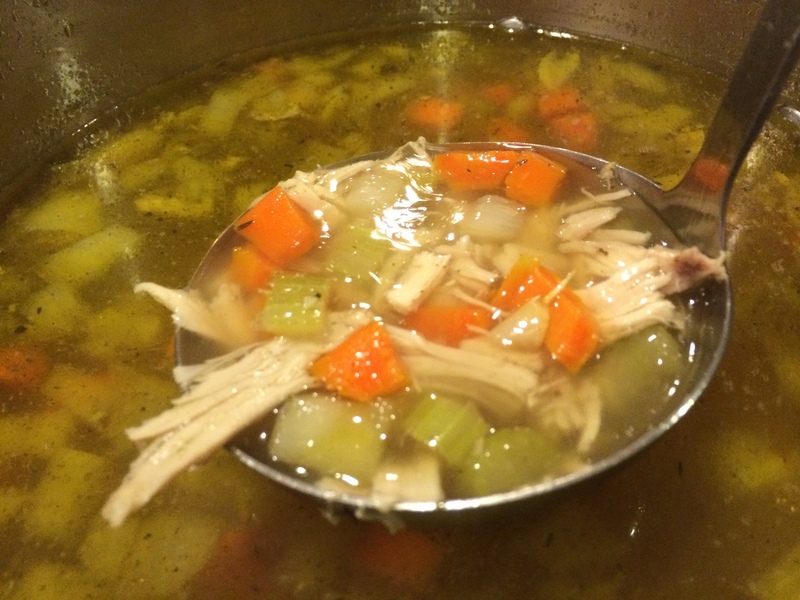 – Chicken leftover from your chicken stock (See here. Spoiler alert: it’s the same link). 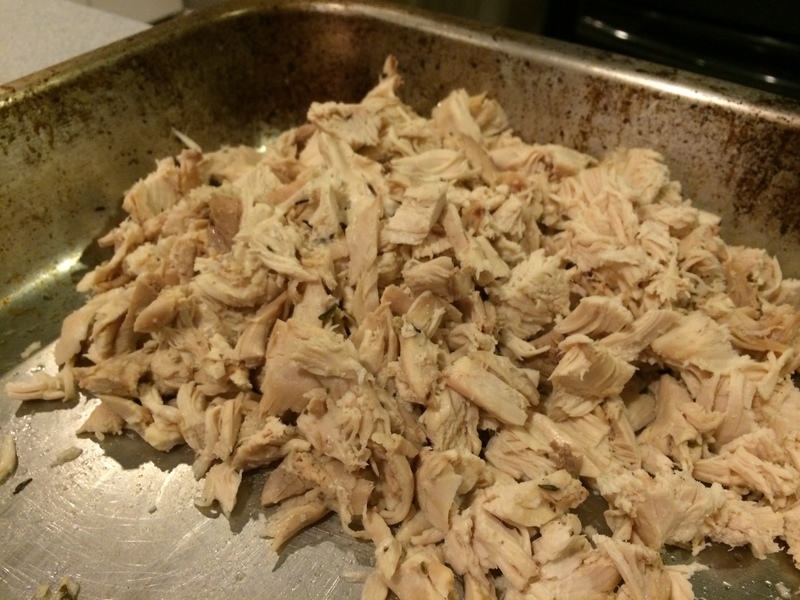 You can use regular chicken if you don’t have any leftover. Just cook it first. 1. 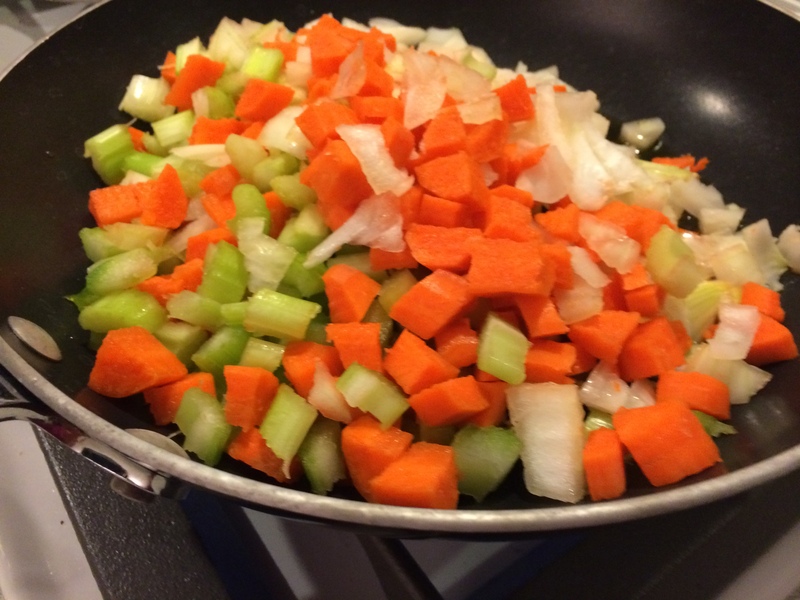 Sauté the celery, carrots, and onions in a medium-large stockpot until softened. 8-9 minutes. (Picture explanation: I sautéed mine in a sauce pan, because I was getting impatient while making my stock). 2. Add chicken stock and seasonings. Simmer on low heat for 6-7 minutes. **You can add more seasonings depending on how much you like spices. Considering I named this site after ‘spice’, I always add more in.